We set the scene for The Indian Queen with evocative Latin American Baroque music unearthed by Jeffrey during his visits to Mexico and Bolivia. 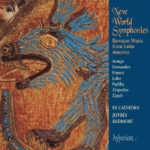 Listen to excerpts and buy our CDs of music from the Latin American Baroque: New World Symphonies, Moon, Sun & All Things and Fire Burning in Snow. This is the closing concert of the newly revived biennial Birmingham Festival of Early Music (4-17 February), which also includes our Beginnings & endings concert. The concert will end at around 6pm. Book online via the link above or call the THSH box office on 0121 780 3333. 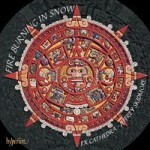 Ex Cathedra is a resident ensemble at Town Hall & Symphony Hall. Book for 3 or more different concerts through the THSH Box Office and save up to 30%. THSH’s ‘per ticket commission’ will also be waived, worth up to £3 per ticket.